Ever wished you had a Nobel Prize? Well you are in luck.The family of Francis Crick, who died in 2004, is selling off his Nobel Prize, which he won in 1962 for his role in the discovery of the structure of the molecule DNA, which holds the genetic information present in all cells. The family is auctioning off the Nobel prize and other items related to Crick’s research and legacy. A portion of the proceeds with benefit research institutions in the U.S. and U.K, according to LiveScience. “It had been tucked away for so long,” Kindra Crick, Crick’s 36-year-old granddaughter, told LiveScience. “We really were interested in finding someone who could look after it, and possibly put it on display so it could inspire the next generation of scientists.” Francis Crick passed away in 2004 at the age of 88. 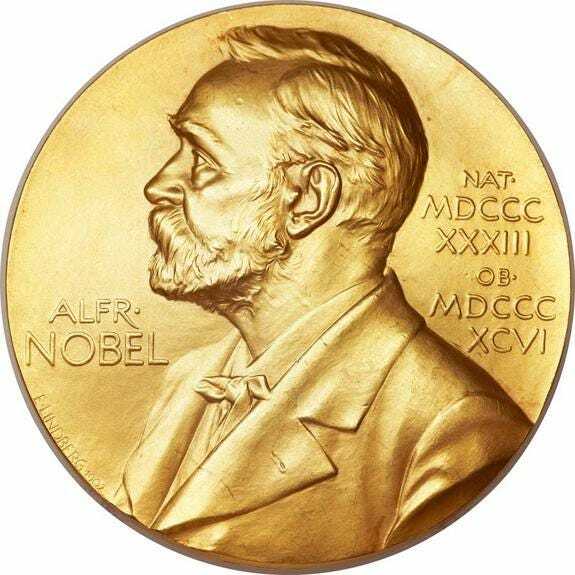 The Nobel prize is 23-carat gold and estimated to be worth about $500,000. The memorabilia will be up for auction through Heritage Auctions.